What do you need to know today? 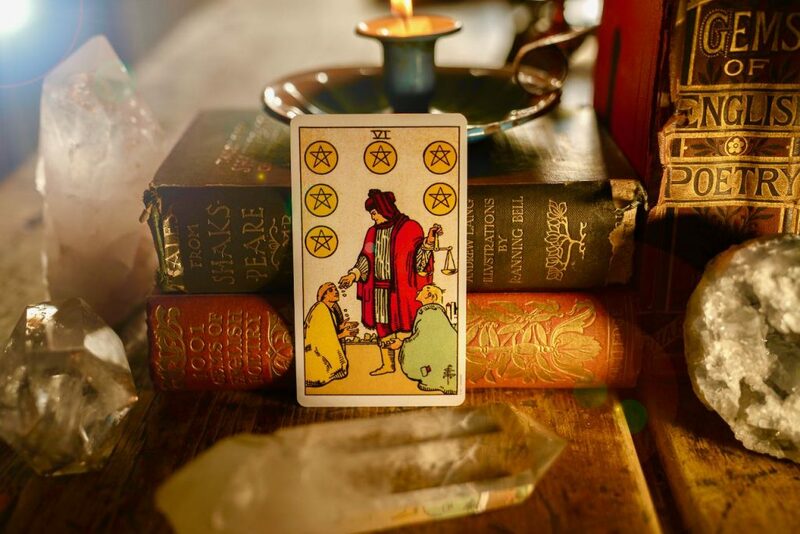 Is there a Tarot Card for you? 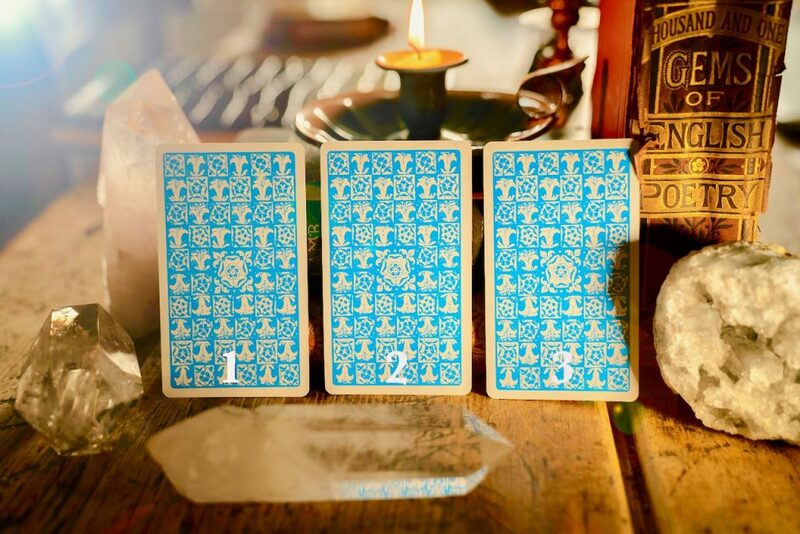 Gaze at the three Tarot cards and see if one jumps out at you. Do you feel captivated by one of the cards? As usual, take a moment to use your own accurate psychic compass to sense what message is beaming its way towards you, then scroll down for your answer. Hey Warm One, Your open heart and generosity of spirit are likely to be rewarded soon. You are one of life’s givers, even if you have very little you will always share what you have. Of course, being generous is not all about money, your huge heart is constantly available to your friends and family. A karmic reward is coming your way, and potentially, a flow of abundance. The 6 of Pentacles heralds a time of flow, of giving and receiving. You deserve a break and have earned it. Your honesty and compassion have not gone unnoticed. It’s time to open your arms and receive. Yeah, Baby! The Ace of Wands is empowering you and filling you with passion and excitement. Your soul power is full on and you’re ready for action. The frisky Ace of Wands shows you that you can do it! You have the energy, flare and lust for life to go for it. If you’ve been feeling a little ‘Meh’ recently you energy turns a corner. You have the courage to persist, the audacity, and confidence, to leap into your dreams. 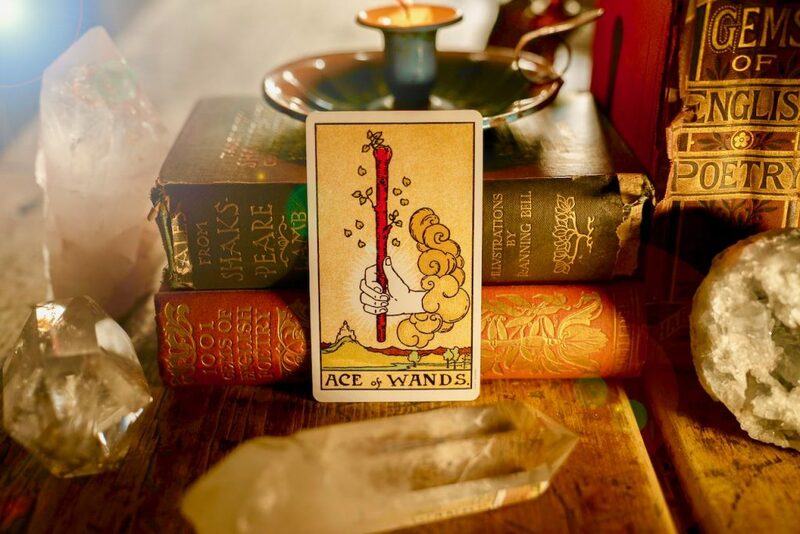 The Ace of Wands is an energetic flow, where will you point it? Let the magnificent fire energy of this Ace fill your heart to get it done. You are radiating with potential, use it. You might find you have a surge of passion or hunger for a new lover or a reboot of desire for a current one. Take full advantage of this energy now! Hooray! The World! Arguably the most desired card in the deck! The World is the last card in the 22 Major Arcana and comes as a glorious prize at the end of a long journey. 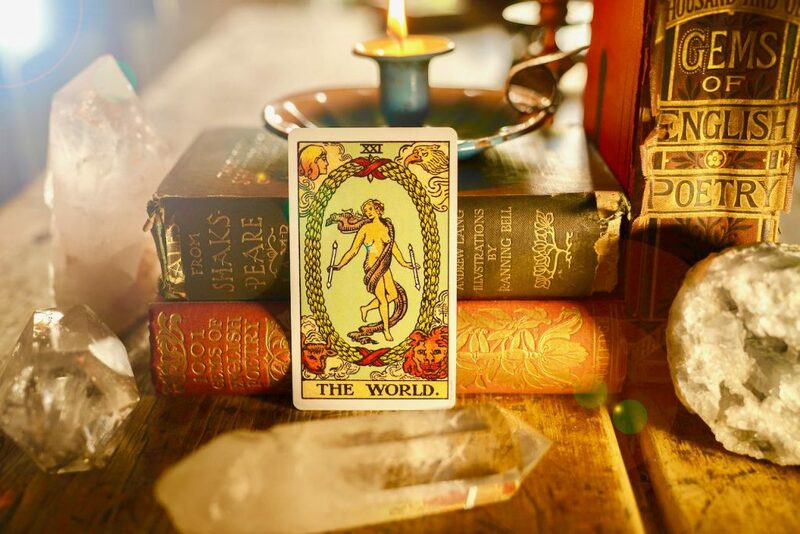 The World signifies a peak experience, beyond the 9 of Cups wish card, The World is a knowing, a feeling, a moment when everything is well in your world. You are fulfilled and satisfied. Expect a peak experience. The World also suggests a brand spanking new universe is opening up. You can chill out in this moment of wonder, but another adventure awaits. will i be get diviorced ? I have been in a transitional time for 9 years and have had a self awakening if who I am. Thankyou for this reading it is very inspiring and resonates deeply with me. Will I be granted my Australian parent visa by the end of 2019. My boyfriend of 6 months broke up with me last week. It’s there a chance we will get back together?